So when is buttermilk used in Colombian cooking? Never, I have never, ever seen a Colombian recipe that calls for it. However, I find myself using this ingredient so often that I just had to share the recipe on how to make it, especially for those of you who live outside of the US and can’t get your hands on it as easily as we do. 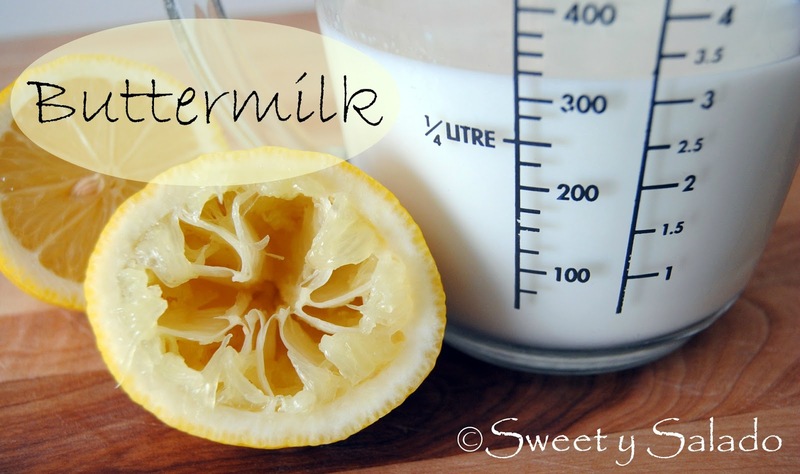 Buttermilk is used in so many recipes that it should definitely be in your fridge at all times. The reason I make it is because I never use the whole bottle I buy at the store and always end up throwing most of it away. When I make it at home I only make the quantity that I need and it takes only a few minutes. Now, it won’t have the same thick consistency of “regular” buttermilk but it definitely does the job. And why use it? Well, I use buttermilk mainly for baking because it makes everything fluffier and more airy. And when it comes to frying chicken it makes it extremely moist and tender. Plus, you can also use it to make that delicious ranch dressing for your salads or ranch dip for your veggies. 1. 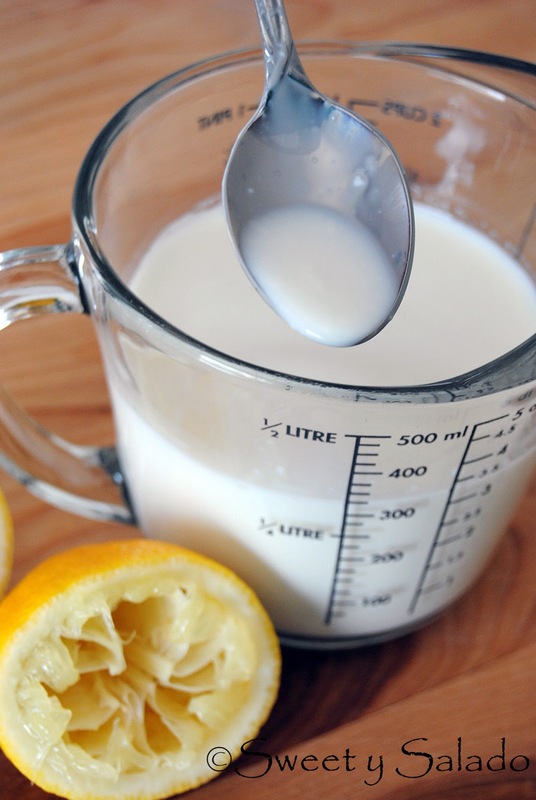 Pour milk in a small container and add lemon juice. Stir well and let it rest at room temperature for about 5-10 minutes.